My tomato plants seem to be diseased. What is wrong with my tomato plants? 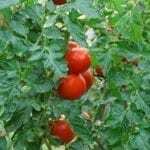 My tomatoes are dying because of some blight which starts with yellowed leaves on the bottom of the plant and proceeds to attack, seemingly from within, up the stalk killing branches one at a time. The leaves die and become dry and brittle and break off. What could this be and how can I treat the tomatoes so as not to lose all of them? This spreads from plant to plant. This may be a bacterial canker. I would remove the diseased plants and dispose of properly. 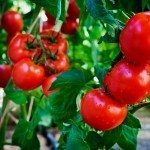 Crop rotation is an important tool for a gardener to lessen diseases in the garden. Here are some great links with more information.